For years, millions of people have been using the concept of an affiliate website to generate revenue and build a web presence without it costing an arm and a leg. We have all stumbled across at least one affiliate website in our lifetimes – some are single-offer versions that read like a salesperson’s pitch, while others incorporate several different affiliate programs and casually reference the promoted products in question. Whatever the style, running an affiliate website takes a lot of balance when it comes to search engine optimization and some common sense on behalf of the webmaster, and much of these two concepts overlap. Below, we will discuss a few simple strategies to keep in mind when you begin building your first SEO-friendly affiliate website. All too often, many affiliate webmasters jump into the act of product promotion without providing a clear-cut reason, information or valuable advice to readers. A perfect example of this are the cookie-cutter e-book and blueprint websites that many of us have seen; blatant sales pitches no longer thrive in the era of the internet. Search engines are pinging your website in search of quality content: if they find no tangible content or are otherwise bombarded by affiliate links, this can kill your chances for quality SERPs. Do not create tons of affiliate links and then incorporate content, but instead create tons of content and incorporate your affiliate links. Anyone who relies solely upon one affiliate program to raise revenue for any one website or blog is risking sudden losses of revenue and inconvenience later. There are dozens of affiliate programs out there that cover virtually every type of product and service, so you should do your best to apply and utilize as many of these affiliate programs as possible. 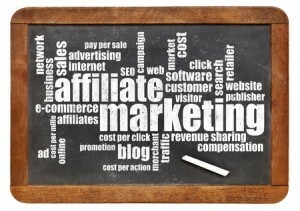 Some common affiliate programs include Google AdSense and Amazon Affiliates, but you will want to have at least three different programs actively being used on your affiliate website. If you want to be seen in search results and project the impression to search engines that your website is a repository of information and quality content, then you need to be linking to multiple established and non-competitive websites that may be beneficial to your customers and readers. Many people have stopped this practice in recent years for fear of linking to the wrong websites and being penalized, or because they themselves could not get links from the website in question. If you utilize commercial websites prominently featured in search engines and websites relevant to your affiliate site’s subject, then you will avoid the traditional hazards involved in link building. If you have quality content – whether that be reviews, information or how-tos – then it will be much easier to build an actual community around your affiliate website. Not only will these actions give your website further credibility in search engine results, but it will keep a close-knit group of supporters and followers who will be far more likely to start pinging your website’s new content to friends via social media and email, and will also encourage them to invite their friends to join your community. With a solid base of subscribers and supporters, your affiliate marketing techniques will have a profound impact. « How Much Limelight Do Your Facebook Posts Receive?